Inspired by his experience as a kid growing up in challenging circumstances, Joe’s life’s work has been dedicated to constructively and meaningfully addressing the holistic and educational needs of public school teens and disadvantaged youth in the United States. As a leader in education and the nonprofit arena, his in-depth experience and innovative approaches catalyzed transformative changes within schools and nonprofit organizations. Joe was an educator and administrator in Massachusetts including, a math teacher and coach at Bedford High School, and the high school principal at both Lynn English and Peabody Veterans Memorial High School. 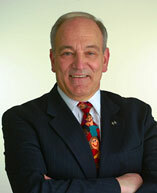 He was nominated in 2004 for Massachusetts Principal of the Year. Joe received Master’s Degrees in Education from Harvard University and Salem State University and a Bachelor’s Degree from Fitchburg State University. A results-oriented, problem-solving collaborative leader, Joe was recruited in 2004 to turn around Madison Square Boys & Girls Club, one of the oldest Boys & Girls Clubs in the country, serving 5,000 youth. Burdened by three previous years of operating deficits and many other challenges, the organization today enjoys financial health with a refreshed and engaged board and donor base, a dedicated staff, and an efficient operational structure designed to move them forward. The culmination of Joe’s tenure included a successful $90M Capital Endowment Campaign for a new clubhouse and administrative headquarters in north central Harlem. The Madison Board of Trustees has honored Joe as Executive Director Emeritus.